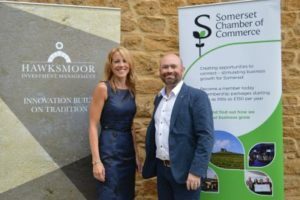 On Thursday 2nd August, Hawksmoor’s Taunton office was delighted to sponsor the Somerset Chamber of Commerce annual Summer BBQ. Alistair Tudor (Head of Chamber Services) welcomed over 50 guests to the event which was held at the New Monks Yard in Ilminster, with superb food and relaxed networking. For more information about the Somerset Chamber of Commerce, visit their website.